There is a lot of interesting things going on out there. 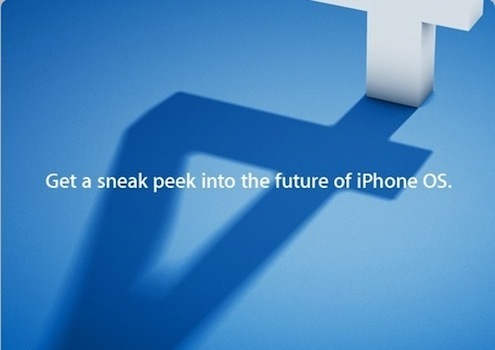 1st, the iPad just got released in the wild… the next thing you know Microsoft is preparing some announcement on April 12 2010… something about sharing… I wonder what this might be… Maybe something to fight the iPad? HP is showing off what the HP Slate will be like. Making it clear that it will have a fron facing camera and support USB connections (Apple USB cable), SDHC cards and video out via a docking station. There is a war about to take place out there… and the two sides are Apple with the iPad and the future iPhone OS 4.0 vs Microsoft and the HP Slate. I am all for such competition. This keep everyone on their toes and benefit the end users. Microsoft and HP are certainly trying to get the attention away from the iPad… and I think they will succeed in some respect if the HP Slate promo is as interesting as what is shown in the video. On the other hand Apple is trying to keep the attention on what else is to come for iPhone users and most certainly iPad users… something special in the OS4 for the devices. One thing for sure is that it will be hard to compensate for the lack of camera on the iPad… but they may come out with a front facing camera on the next gen iPhone… as supported by some leaked iPhone 4th gen casing pictures. Apple Watch developing touch screen issues?